Looking for colourful wedding thank you cards to send to your guests? 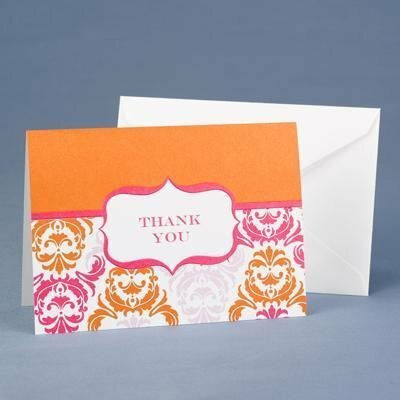 These white thank you cards feature a bright and funky orange and fuchsia damask pattern and “THANK YOU” written within embossed crest design. Perfect to compliment your spring or summer weddings with these zesty colours.